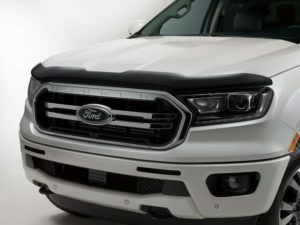 With the 2019 Ford Ranger available now at Kentwood Ford, we also have all the original Ford accessories to help your truck stand out on the road. Whether you need accessories for function or style, we’ve got everything you need at our north Edmonton dealership. Take a look below at some of our must-have accessories for your Ford Ranger! For all the pesky debris you encounter in your everyday drive, or off-road adventures, consider equipping your Ford Ranger with a hood deflector. Made from an unbreakable GE Lexan® polycarbonate, it’s incredibly easy to install and adds a little bit of style to the front of your truck, thanks to its smoky colour. Speaking of style, this set of 18-inch wheels are more than capable of catching a few eyes while you drive down the road. 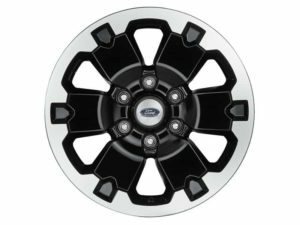 These black, machine-faced wheels give your Ford Ranger a more athletic appearance in any driving condition and already comes included with its own set of lug nuts. Additionally, this four-piece set has been tested in its original equipment standards and is proven resistant to corrosion. If you thought your options for style on the Ranger were limited, there are more options to consider. For example, you also have the option to add a super-fancy chrome exhaust tip to give it added flair and bling. 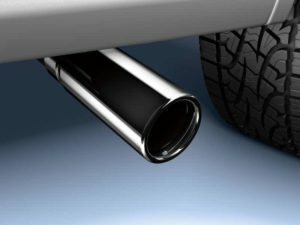 It’s really easy to install as well, it just slips over the end of the tailpipe and there’s no need to drill the tip in. Much like the machine-faced wheels, the exhaust tip is also corrosion resistant and constructed of heavy-duty materials, so it’s built to last long. The Ford Ranger is a versatile pickup, giving you the options to take it out for city cruising, off-road journeys, or even use it for everyday work. 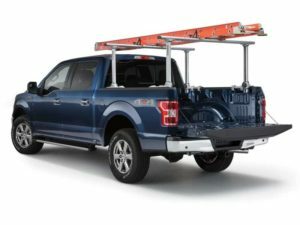 If you’re someone who frequently drives the Ranger for the last option, consider adding a ladder rack to your truck. For whatever workspace you’re in, this multi-height aluminum rack is adjustable to any length and is wind tunnel-tested to match the Ranger’s aerodynamic design. It’s also very easy to load, carry and securely store your ladder on the rack, thanks to SecureLock locks with One-Key lock cylinders. Interested in customizing your Ford Ranger? Contact our parts department for more info, or if you want to go the extra mile, visit the Kentwood Kustoms accessory department to deck your Ford truck out and make it pop on the road!